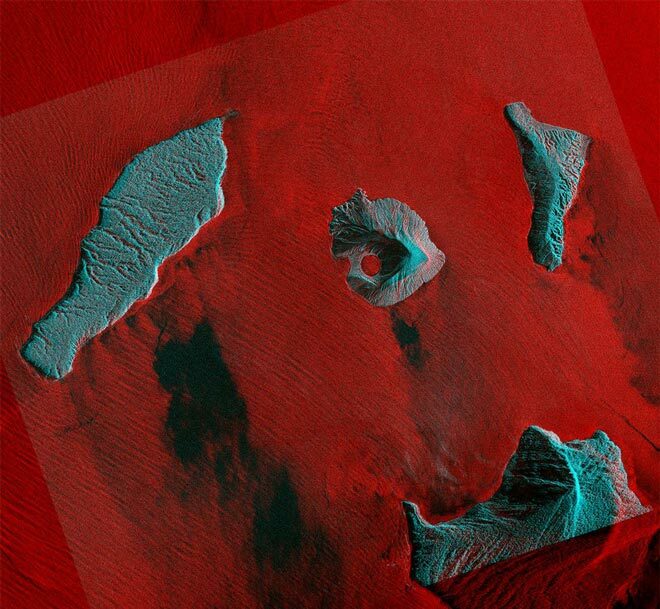 Published a new picture of the Indonesian volcano Anak-Krakatau, which caused a devastating tsunami on December 22. The image was compiled from radar data of the Finnish satellite ICEYE-X2, received on January 9th. The volcano continues to change after the catastrophic collapse of the cone. Its original height of 340 meters decreased to 110 as a result of a natural disaster, but further eruptions began to re-model the residual structure. “The new image shows that the structure is under construction, and the crater is no longer connected to the sea, as was the case a week ago,” said Professor Andy Hooper from the University of Leeds, UK. As a result of the tsunami that hit the coast of Java and Sumatra on December 22, more than 400 people were killed. In September, an earthquake and tsunami on the island of Sulawesi killed more than 2,000 people. The Indonesian Ministry of Finance announced a reservation of $ 750 million for immediate response to disasters and another $ 350 million to rebuild affected areas.